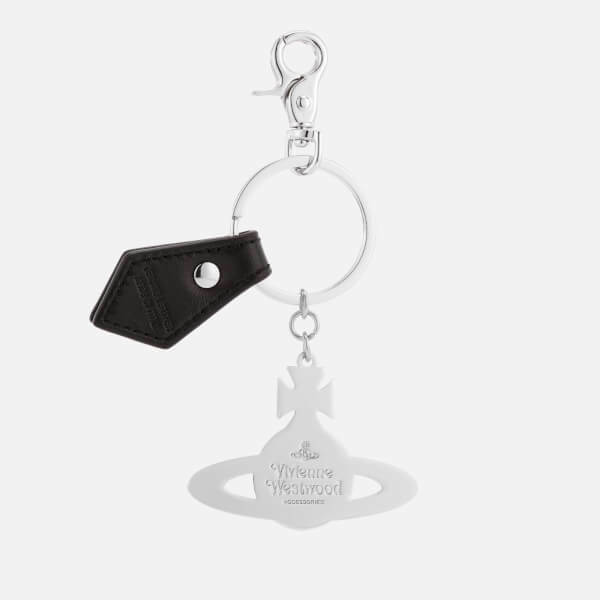 Silver-tone metal and black keyring from Vivienne Westwood. 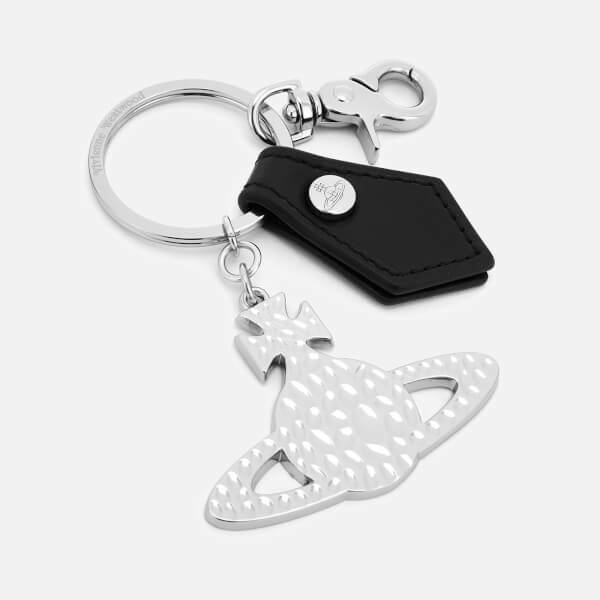 Attaching easily to your favourite bag or keys, the accessory showcases a hammered Orb logo charm and a leather tag with smaller Orb detail. Complete with embossed branding to the reverse.